Eurodollar is still being corrected. Possibly, the price may once again test the group of fibo-levels, from which it rebounded earlier. 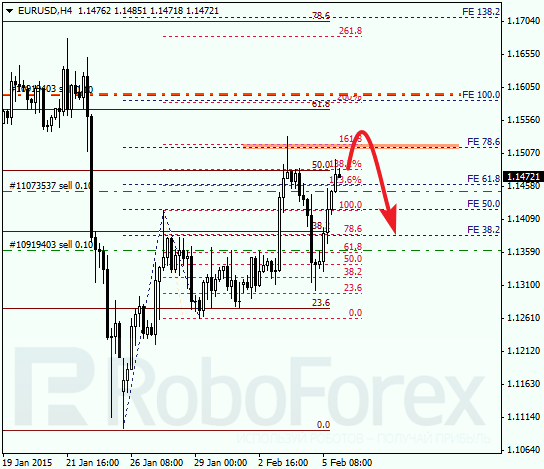 If it rebounds from this area again, the downtrend may resume. 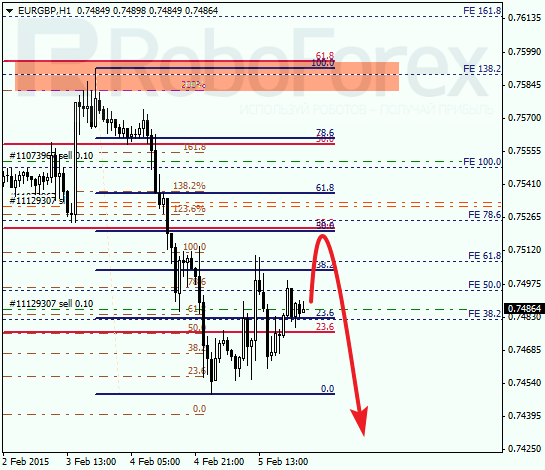 As we can see at the H1 chart, after making a descending movement yesterday, the market started a new correction. Possibly, the price may reach a new high during the day. I’m planning to open another sell order as soon as the pair resumes falling. 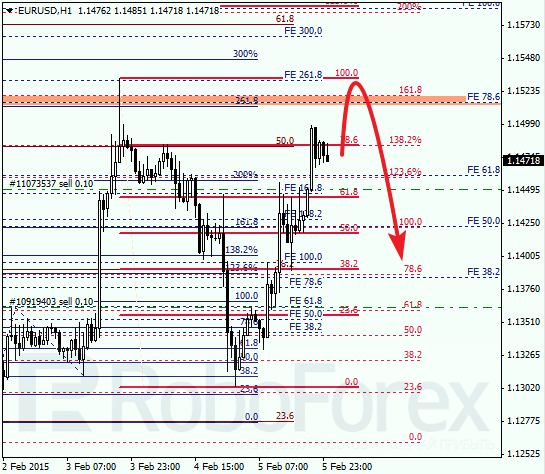 As we can see at the H1 chart, the price may continue its short-term correction and test a local retracement 50%. 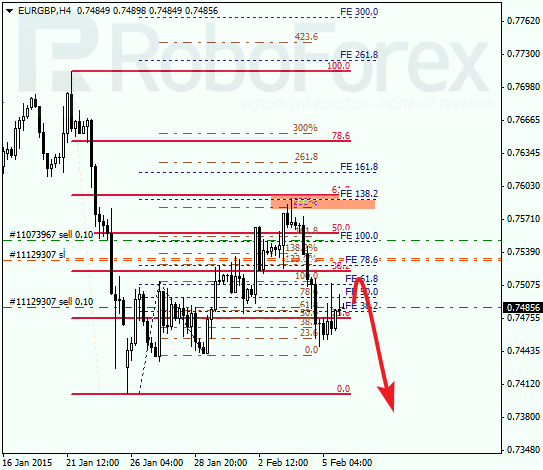 If the pair rebounds from it, the price may start a new descending movement.